Leaving its mark on the A-Bolt legacy. The satin finished, black walnut stock of the Browning AB3 Hunter is the first thing that will catch your eye. It has a straight comb and Inflex Technology recoil pad which directs the recoil away from the face to prevent flinching. 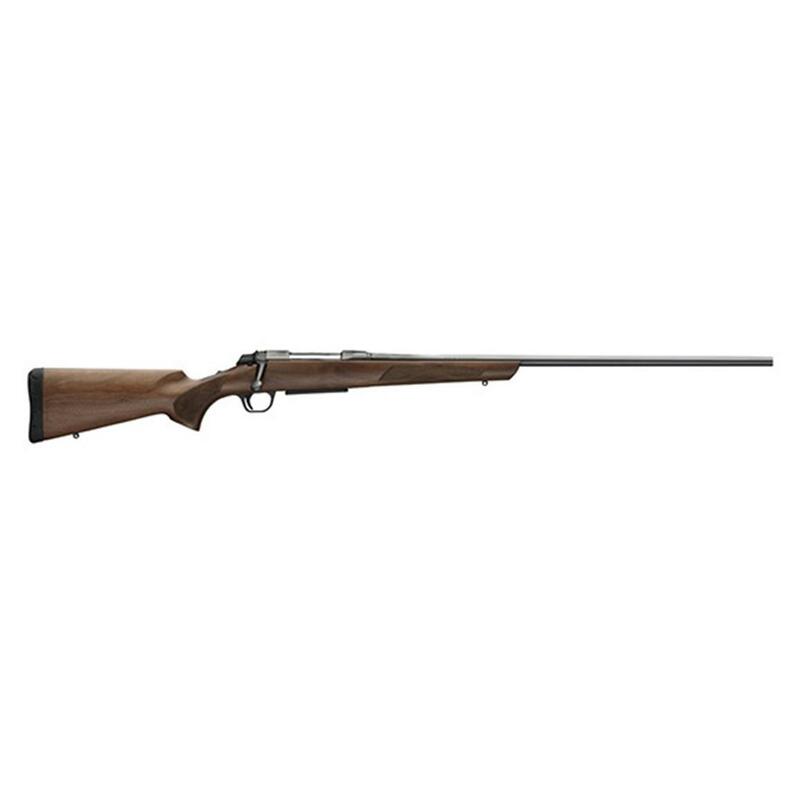 Both the barrel and receiver have a matte blued finish to make them corrosion resistant. The receiver is additionally drilled and tapped for scope mounts. The AB3 has a rotating head and 3 locking lugs which allow a short 60° bolt handle lift. This allows for greater scope clearance and faster cycling. The ergonomic bolt knob's shaped slightly flatter and at a 30° angle to fit your hand naturally. The top-tang safety is quickly engaged and contains a bolt unlock button keeping you safe as you open the bolt for inspections. The magazine is detachable allowing for quick release and re-loading. The free floated barrel gives you the accuracy you've come to expect from Browning. The AB3 combines the quality you expect with a price you enjoy. Length of pull: 13 5/8"